Ignoring the first stages of a water leak on your property is the wrong thing to do. What you should do is call ADI and have one of our engineers check the problem for you. 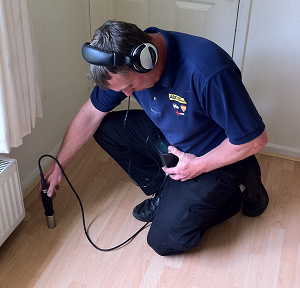 Our engineers use a wide range of advanced equipment that can see through walls or even listen for leaks through concrete walls if needs be. Our experienced teams can minimize the amount of time they need to spend onsite with you and in turn provide you with a very competitive price in return. Don’t panic if you don’t see your location listed – ADI are available to help customers anywhere in the United Kingdom. 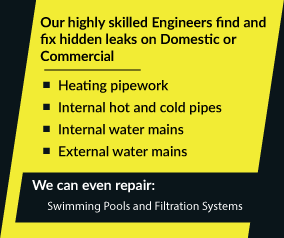 Our advanced Leak Detection & Central Heating Repair services are available to customers throughout the UK, – Our team of expert leak detection engineers who offer leak detection in Kent wrote this page that you have just read – as part of thier coverage of Kent they provide leak detection throughout Dartford, Maidstone, Margate,Dover, Snodland, Tenterden and Westerham.